Looking for Oil Tank Installation in the Northamptonshire area? We cover the local area including Northampton, Corby, Kettering and Wellingborough. We offer oil tank installation, repair and removal. Our services include domestic oil tanks , commercial and industrial oil tanks as well as diesel pump and oil tank installation and repair. We are fully OFTEC accredited oil tank installation specialists and can supply new oil tanks, including installation, oil tank repairs and removal. Our expert installation engineers are OFTEC trained and qualified with all new oil tank installations, relocation of tanks, replacement tanks and emergencies such as leaking or corroded tanks. We offer a choice of plastic and metal single skin and double skin bunded oil tanks from leading manufacturers such as Titan Environmental and QSS. Give a us a call about your new installation, we are happy to offer expert advice regarding the supply and installation of new plastic or steel tanks for homes, farms, business premises, offices or schools. We also replace old, damaged and corroded tanks compliant with the regulations and environmental standards. We are fully OFTEC accredited oil tank installation experts and will happily advise you on the best suited oil tank installation for your needs. 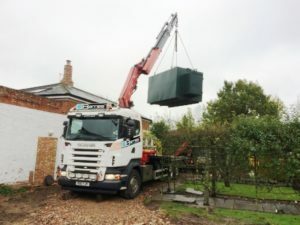 Oil Tank Replacement Northamptonshire – your local service. We offer Oil Tank repairs, replacement and installation in the Northampton area.